Xenophobia, austerity, and dissatisfaction with politics may have contributed to the Brexit vote. But James Dennison and Noah Carl write that, although a number of concerns may have tipped the balance, Brexit was ultimately decided by more than recent events. Here, they demonstrate how the UK has been the least well-integrated EU member state, and so the closer the EU was moving toward political union, the more likely Brexit was becoming. Since the British electorate voted to leave the European Union, many commentators have sought to explain (and often decry) the referendum’s outcome as the result of a misleading and demagogic Leave campaign, irrational xenophobia, simple racism, an obstinate protest vote, the government’s fiscal austerity policies, a largely Eurosceptic press, or general discontent about the economy. While several of these explanations have at least some merit, we believe they are insufficient. Indeed, they either put too much emphasis on recent events, or mistakenly assume that few Leave voters were motivated by dissatisfaction with Britain’s EU membership per se. Regarding the former, a recent analysis of internet and phone polls suggests that Leave may actually have had the lead throughout the entire campaign, belying the claim that provocative statements made by Nigel Farage or Boris Johnson exerted decisive sway over prospective voters. Regarding the latter, evidence from the BES internet panel and Lord Ashcroft’s large post-referendum poll suggests that overall national sovereignty may have been just as important an issue for Leavers as immigration, and that austerity hardly registered. Opposition to Britain’s membership of the EU has fluctuated over the years, but has remained substantialever since the UK joined in the mid 1970s; somewhere between ~30 and ~60 per cent of the British public has always been opposed to EU membership. Of course, the Eurosceptic fraction of the population almost certainly increased as a consequence of the rapid rise in EU immigration, which began in the late 1990s, and the Eurozone debt crises, which precipitated mass unemployment across Southern Europe. Nevertheless, the most important phenomenon to be explained vis-à-vis the referendum result in our view is that a sizable Eurosceptic faction has remained extant in Britain over the last four decades, in contrastto the other countries of Europe. In The American Voter, one of the seminal studies on voting behaviour, Angus Campbell arranged the myriad factors affecting vote choice within a so-called funnel of causality: ultimate causes – such as structural and historical factors – were placed on the left hand side of the diagram, while proximate causes – such as attitudes to individual policies and candidates – were placed on the right hand side. Similarly, and we show that in a number of important respects, the UK is the least well-integrated EU member state – essentially, the least European country – and that this fact likely stems from certain historical features, which arguably constitute the ultimate causes of Brexit. 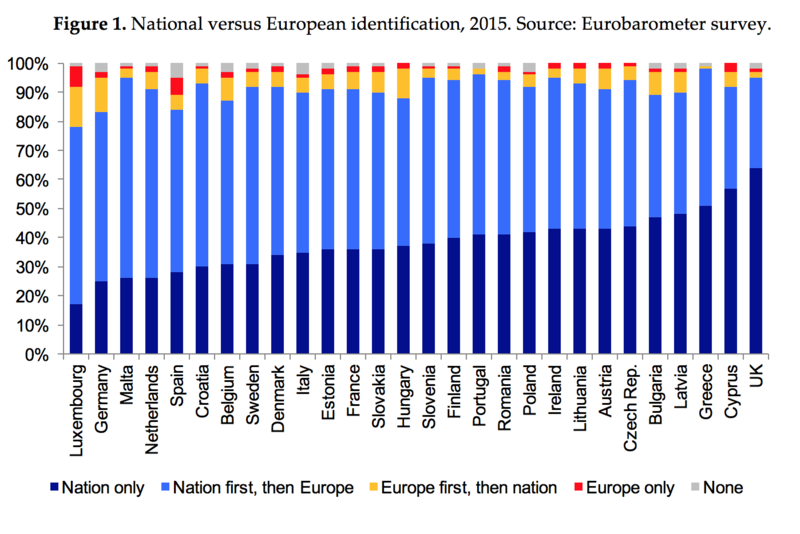 Figure 1 shows national versus European identification for all 28 EU member states. The UK is ranked 28 out of 28 for European identity: nearly two-thirds of Britons do not identify as European at all, compared to fewer than 40 per cent of French and Italians, and fewer than 30 per cent of Spanish and Germans. 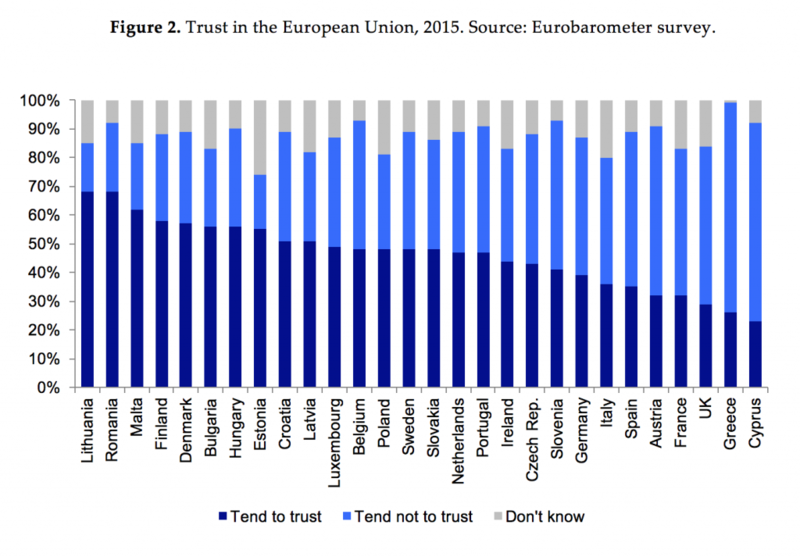 Figure 2 shows trust in the European Union for all 28 EU member states. The UK is ranked 26 out of 28: fewer than 30 per cent of Britons trust the EU, compared to 39 per cent of Germans, 47 per cent of Dutch and a full 57 per cent of Danes. 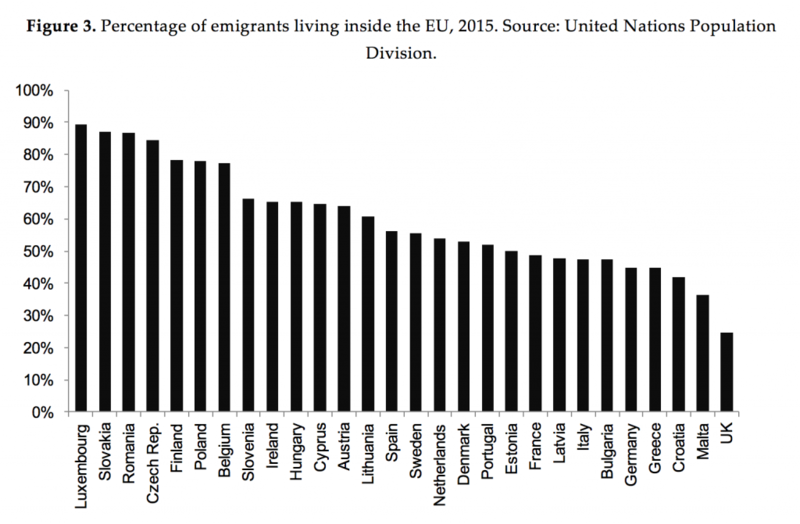 Figure 3 shows percentage of emigrants living inside the EU. The UK is ranked 28 out of 28, and by a non-trivial margin. Indeed, according to the latest UN data, there are more Britons living in Australia than there are in all 27 other EU countries combined. 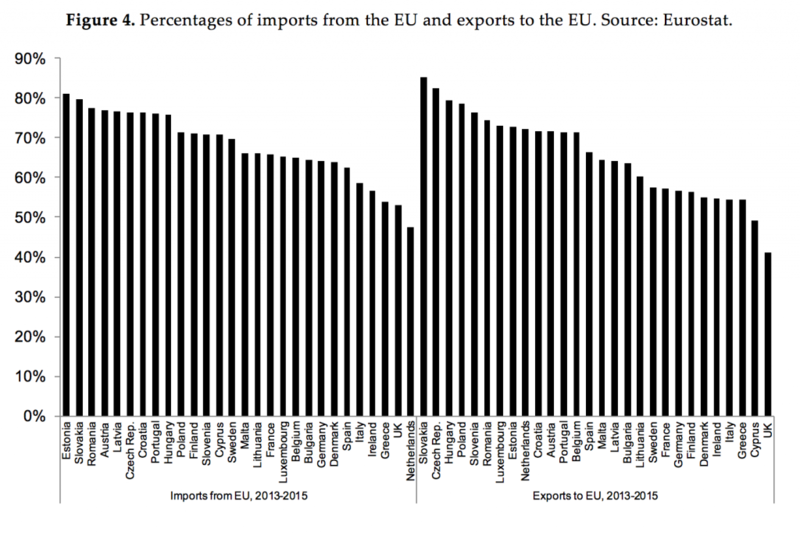 Figure 4 shows percentages of imports from the EU and exports to the EU. The UK is ranked 27 out of 28 for imports, and 28 out of 28 for exports. 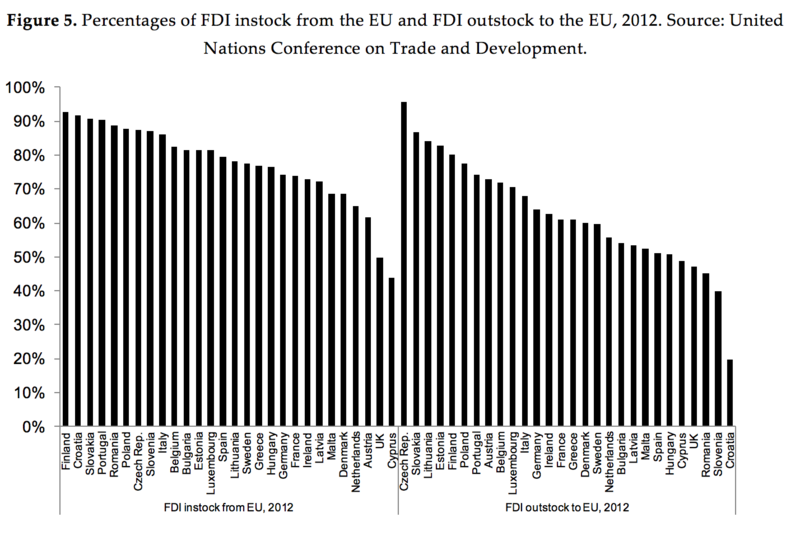 Finally, Figure 5 shows percentages of Foreign Direct Investment (FDI) instock from the EU and FDI outstock to the EU. The UK is ranked 27 out of 28 on FDI instock, and is ranked 25 out of 28 on FDI outstock. As the above charts illustrate, the UK’s comparatively limited integration into the EU is manifested in citizens’ self-identity, in their mistrust of the EU, in patterns of emigration, in international trade flows, and in foreign investment allocations. While the UK is not the lowest-ranked country on every single measure, it consistently ranks among the bottom two or three; the only countries that come close are Greece and Cyprus – both of which have suffered financial crises in recent years. Britons’ comparatively less European self-identity and lower trust in the EU may have come about for the following reasons. First, Britain is the only allied European power not to have been occupied during the Second World War. Second, Britain has its own common law legal system, which contrasts with the civil law system of continental Europe. Third, because Britain has an established church, most British Christians have historically owed their allegiance to a national institution headed by the monarch, rather than to an international institution headed by the Pope. Fourth, Britain is an island whose surrounding waters have partially isolated it from cultural developments on the continent. The fact that Britain’ does relatively more of its trade and investment outside of the EU, is due at least partly to the size and economic development of its former empire, the status of English as the global business language, and its particularly close ties with the United States. In conclusion, Britain is the least well-integrated EU member state: European, just not European enough. While short-term contingencies and concerns about other issues may have tipped the balance toward Leave, as the EU moved closer toward political union, the UK’s fundamentally less European character meant that Brexit was increasingly likely. Note: This article was originally posted at British Politics and Policy gives the views of the author, and not the position of EUROPP – European Politics and Policy, nor of the London School of Economics. James Dennison is a Researcher at the European University Institute in Florence. His work focuses on political participation. He is the author of The Greens in British Politics and tweets @JamesRDennison. Noah Carl is a doctoral candidate in the Sociology department at the University of Oxford. His research focuses on the correlates of beliefs and attitudes and he is an editor and contributor at the demography blog OpenPop. This is an excellent analysis of the UK being (almost) an outlier in respect of identity, trade, trust and investment. The Remain campaign was 10x more “misleading” that Leave – relying almost exclusively on predictions of a (bad) future – as well as being out of touch. By contrast, Leave only had to tell the current story. ….. and then citing “numbers of people”. Other commentators have correctly identified this disconnect between groups – so why not mention it? @ Jules: I am amazed that you still refer to the “Remain camp” as misleading! Can’t you notice that all the warnings from the Bank of England, IMF and other experts were true and are about to happen once the UK officially announces its departure? Just by anticipating what would happen once article 50 is triggered, British stocks lost £125 billion just the day after Brexit (equivalent of 15 years of EU contribution) – Sterling plunged to its lowest level in 30 years against major currencies…. The UK alone cannot get better trade deals than when it negotiates as part of the largest trading block (with 500 million consumers worth €1.25 trillion). Even David Davis, Minister for Brexit seemed unaware of how EU trade deals work… Don’t you realise by now that the Brexit campaign was based on lies? based on Jingoism? Ask yourself why the government is so scared to trigger article 50? Why doesn’t the leave campaign come up with a plan? Why doesn’t the leave side offers any type of proposals now that the UK has voted Brexit? Are there no Brexit plans? Or suddenly, the leave side realises that the future will not be brighter outside this union? The EU may not be perfect but the advantages and positive effects it brings are never highlighted by UK politicians. Interesting article and right to highlight historical and structural issues. Factually incorrect in referring to ‘British’ law and established church – that refers to England alone. Scotland has always had a separate legal system (with different basis to that in England) and a distinct set of churches – mainly Presbyterian, completely different to the Church of England. Thanks for pointing that out. We should have been more careful with our language. In speculating as to what may have contributed to the UK’s lower level of identification with a European identity, the common law system is mentioned. This is not persuasive. Ireland also has a common law system, and as Iain Watt has pointed out the Scottish legal system differs from that of England and Wales. If there is a legal factor, I suggest that it comes from the strongly entrenched notion of Parliamentary sovereignty. As there is no written constitution in the UK and prior to the introduction of the Human Rights Act 1998 no possibility for the courts to review the constitutionality of primary legislation, there is a deep seated belief in the UK that Parliament should be supreme. Other countries, including common law countries like Ireland, accept that courts may scrutinise and in certain circumstances override national parliaments. The unwillingness to accept judicial scrutiny of Parliamentary decision-making, whether by the European Court of Human Rights in Strasbourg or by the European Court of Justice in Luxembourg, is in my view a more persuasive legal factor than the common law system per se. It is not just the language – clarifying the differences would strengthen your arguments which seem quite persuasive for England; the difference in the result in Scotland is surely partly because the factors you mention were less powerful there. There is far too much blame on peripheral reasons for the UK leaving, such as austerity and even immigration. The people of the UK just don’t like the EU. Quality analysis! Very thought provoking. How do you explain Scotland’s vote of over 60% wishing to remain. Following these events the English regarded Parliamentary sovereignty as wholly non-negotiable, and it became the cultural cornerstone of English (!) stability through Empire, American Rebellion (! ), French Revolution, Irish Home Rule, World Wars x2, Abdication, Thatcherism, Gulf Wars, Iraq . . The other countries of the Union have not been required to like it; or invited to comment, until now. Hence that 60%+. There’s been something epochally paradoxical, since 1975, in Parliament using Parliamentary sovereignty to delegate the government of Britain – irrevocably, it seemed – overseas. Well, there was. Till June. Now we *really* don’t know what we’re doing. Welcome to a new epoch?